30 for 30 Podcasts Return for Season Two November 14 - ESPN Press Room U.S.
ESPN Films’ 30 for 30 podcasts will return for a second season in November with five all-new audio documentaries. The first episode will debut on Tuesday, Nov. 14, with the other four premiering every Tuesday through December 12. Additionally, the season two audio trailer debuted today in the 30 for 30 podcasts feed as well as across all ESPN podcasts. Listen to the trailer and season one episodes now at 30for30podcasts.com. 30 for 30 podcasts, which first debuted in July 2017, tell original sports stories in the likeness of the acclaimed 30 for 30 documentaries, but made exclusively for audio. Each episode explores and reports on a new sports story that combines original interviews and archival sound. Fans can subscribe for free wherever podcasts are available. 30 for 30 podcasts is presented by MINI in partnership with Blue Apron, Blue Moon, Delta Air Lines and ZipRecruiter. The next project out of the ESPN Films group will be the highly-anticipated 30 for 30 documentary “Nature Boy,” premiering Tuesday, Nov. 7, at 10 p.m. ET on ESPN. ESPN Radio, the country’s largest sports radio network, ESPN Deportes Radio, ESPNRadio.com, and ESPN Podcasts comprise ESPN Audio. ESPN Radio, which launched January 1, 1992, provides more than 9,000 hours of talk and event content annually, reaching 20 million listeners a week on 500 nationwide stations, including more than 375 full-time affiliates and clearance in the top 25 markets. ESPN owns and/or operates stations in New York, Los Angeles, and Chicago. ESPN Radio programming is also available on SiriusXM and via digital distributors Apple Music, Slacker Radio and TuneIn. ESPN Audio launched its first podcast in 2005 and tallied nearly 293 million downloads in 2016. 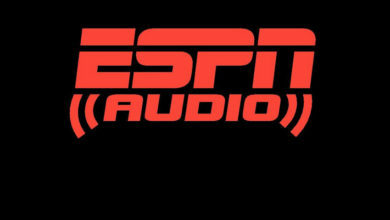 ESPN Audio podcasts cover the spectrum of sports content and most popular titles include Fantasy Focus Football, The Lowe Post and FiveThirtyEight Politics, as well as podcast versions of Mike & Mike, The Dan LeBatard Show with Stugotz, First Take, Pardon the Interruption, Baseball Tonight, and Around The Horn. Listeners spend more than 2 hours and forty minutes per week listening to ESPN Podcasts.